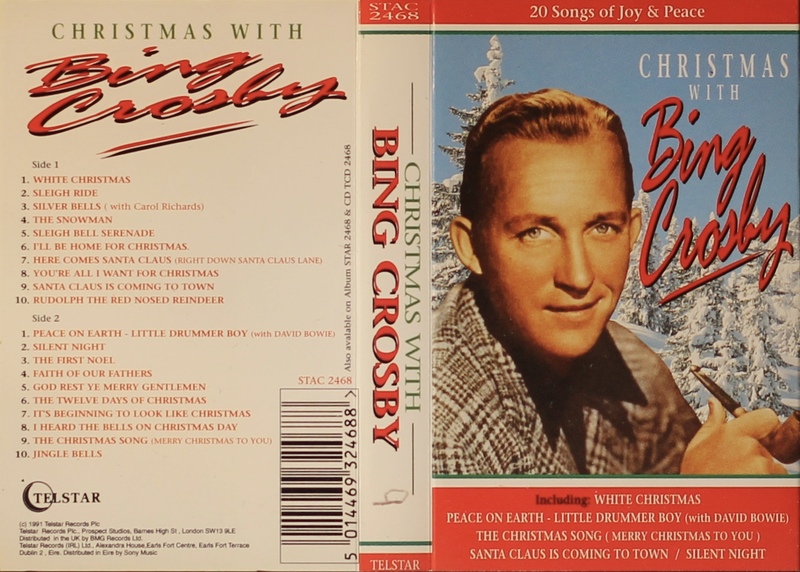 Christmas With Bing Crosby: UK; Telstar, STAC 2468; 1991. Thick glossy paper with track list on inside and rear panel. 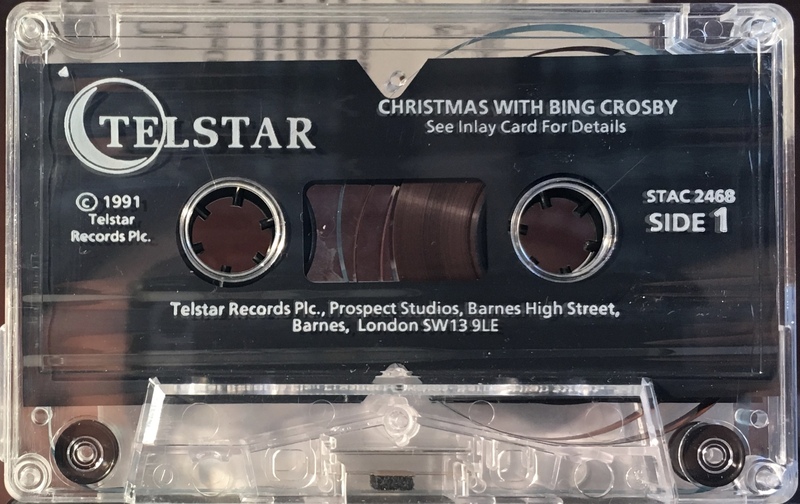 David Bowie performs on one track: ‘Peace On Earth/ Little Drummer Boy’ on Side 2. Recorded in mono and 2:30 long fading out before Bing’s last word. White ink printed directly to clear shell.